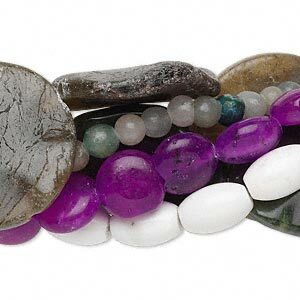 Bead mix, multi-gemstone and glass, multicolored, 15x15x9mm-39x25x20mm faceted nugget. 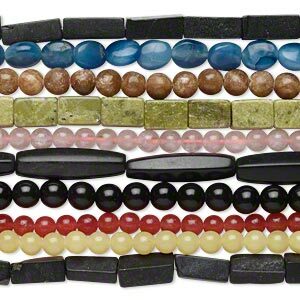 Sold per 1/4 pound pkg, approximately 17-19 beads. 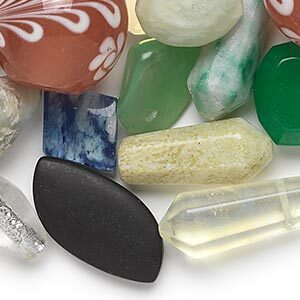 Mixed gemstone and glass faceted nuggets can include sea "opal" glass, tigereye, kyanite, magnetite, rose quartz and more. 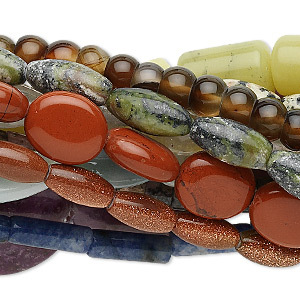 Bead mix, multi-gemstone (natural / dyed / manmade) and glass, multicolored, 3x3mm-30x15mm mixed shape, C grade. 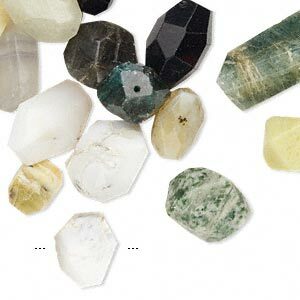 Sold per pkg of (100) 15- to 15" to 16" strands. 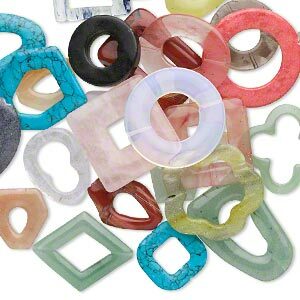 Bead mix, multi-gemstone (natural / dyed) and glass, mixed colors, 33x30mm-70x50mm mixed shape. 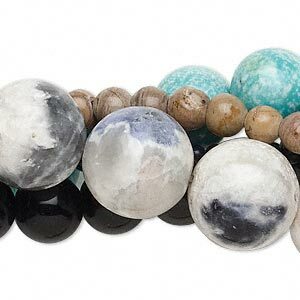 Sold per 1/4 pound pkg, approximately 20-25 beads. 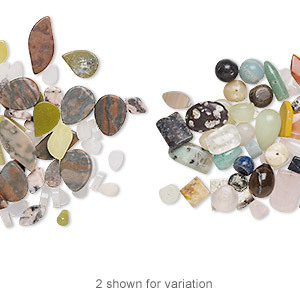 Bead mix, multi-gemstone (natural / dyed / heated / manmade) and glass, mixed colors, 7x2mm-21x17mm mixed shape, D grade. 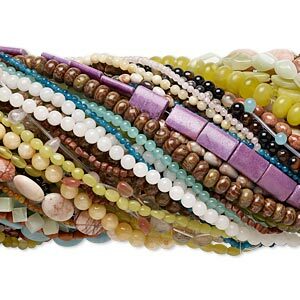 Sold per 1/4 pound pkg, approximately 75-90 beads. 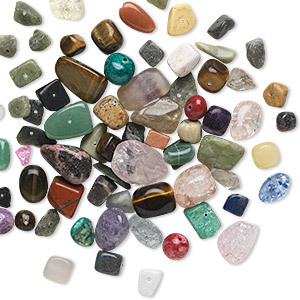 Bead mix, multi-gemstone (natural / dyed / manmade) and glass, mixed colors, 4mm-40x30mm mixed shapes. 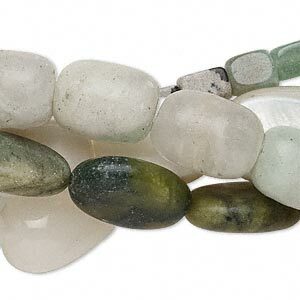 Sold per 1/4 pound pkg, approximately 40-55 beads.